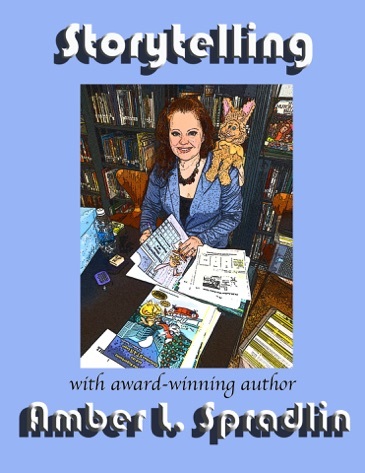 The first book in a series chronicling the adventures of a house rabbit blessed with super-powers and a duty to make the world a better place. Ask for it at a bookstore near you! 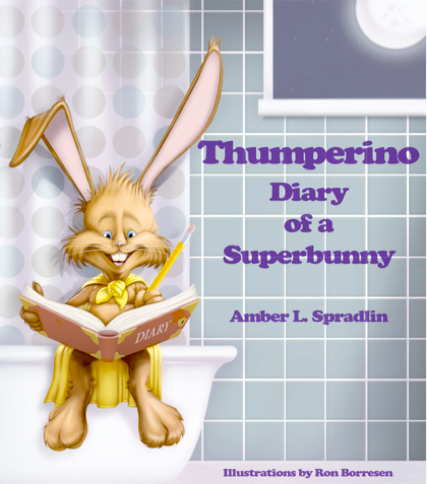 Author/Publisher Amber L. Spradlin brings Thumperino Superbunny to life in this action packed reading series filled with characters and scenes that jump from the pages. The award winning books chronicle the adventures of a house rabbit blessed with super-powers and a duty to make the world a better place. Thumperino is also available as an ebook! 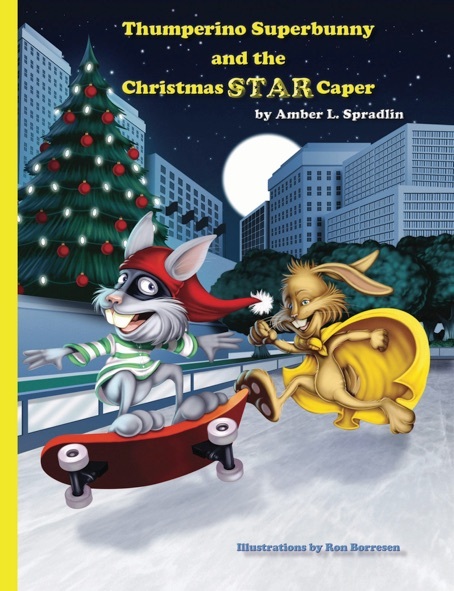 Amber L. Spradlin is the author and creator of the action hero series Thumperino Superbunny and the Storybook Collection A Cow Named Cow. 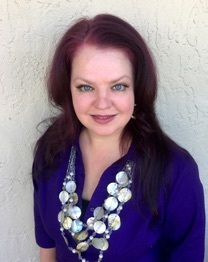 Her books have been named a National Indie Excellence Award Finalist, a three time Grammy Contender for Best Children’s Album (audiobook), Winner of the Creative Child magazine Book of the Year, the Pinnacle Book Award for Best Juvenile Fiction, Winner of the Pacific Book Award, a Beverly Hills Book Awards Finalist, and a Preferred Choice Award Winner. They have appeared on NBC’s The Michael J. 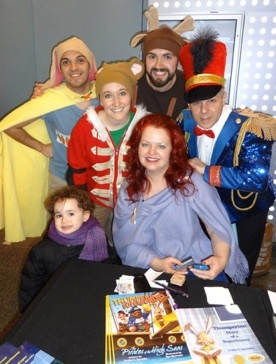 Fox Show, reached number one on the Top 100 Children’s Books list and made their international debut at the Bologna Children’s Book Fair in Italy. Her stories have been adapted for the stage in a series of New York Times recommended productions, available for licensing through Heuer Publishing, and have been accepted into the Library of Congress and The National Library of Scotland. 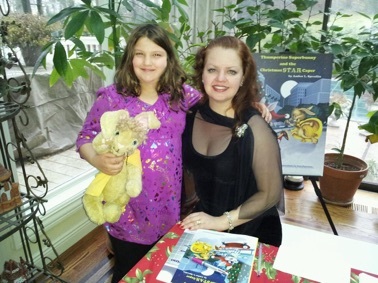 Her books are offered in lending boxes by LittleFreeLibrary.org, a charitable organization providing neighborhood library stewardship worldwide. As a producer, her recent musical The Cow, The Princess, and The Corn Maze was nominated for six 2017 MITF awards and the original cast recording from the concept opera she produced in 2015, Son of the Storm, was a Grammy Contender for best new musical. She is currently a partner with the music and variety entertainment company G&W, LLC. She began producing as a founding member of the theatre and dance production company Making Faces Productions, based in Los Angeles, and served as Production Manager for independent record label, Shark Meat Records, based in Miami. She is a member of Grammy (NARAS – National Academy of Recording Arts and Sciences), a graduate of the University of Washington School of Drama in Seattle, and was nominated for the Kennedy Center's Irene Ryan Acting Award. 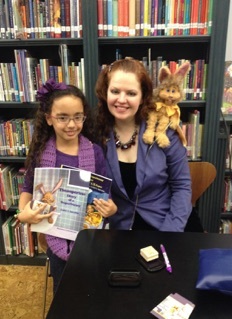 Ms. Spradlin regularly presents author visits at libraries and elementary schools around the country. A Cow Named Cow is a heart-warming tale about a cow who gets separated from his herd and struggles to get back home. Along the way, he meets a new friend named Parsley and a sinister man who is trying to take over the world. 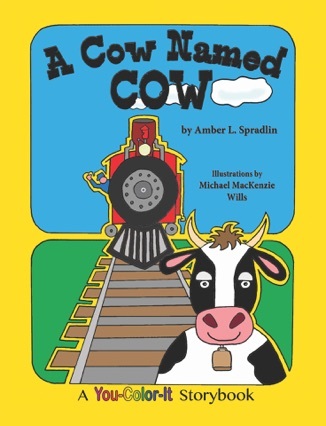 A Cow Named Cow is a You-Color-It Storybook. Color the pictures, solve the puzzles, and let your creativity bring the story to life! Can Cow save the day and find his way home? A captivating tale with a great moral! 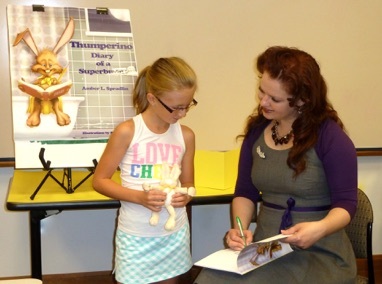 Thumperino is an ambitious rabbit who lives by a moral compass…This story is fun, creative, exciting and imaginative. The author depicts Thumperino, as not only an adventurer with great skills he learned from reading books in the library, but a relatable character who cares about the environment. 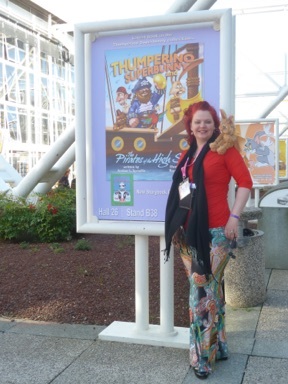 Children will be able to relate to Thumperino's thirst for adventure…Though this can be a great educational tool, children will also love the mystery of the story and how it leads on to another adventure. Magical and educational what more could you ask for! A delightfully funny tale that children will love to read…This engaging tale will keep young readers entertained and enthralled down to the last page. 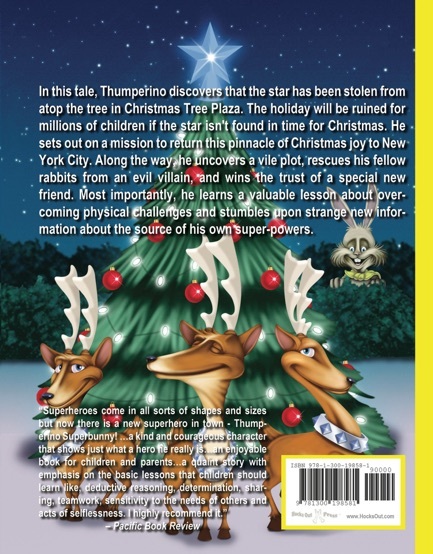 It is filled with lovable characters from Thumperino himself to his quirky-named owners. The illustrations are engaging and laugh-out-loud funny! I am more than happy to recommend this book as I am sure your children will find it a sheer delight. It’s also educational too. Enjoy! -Susan Day, a canine behaviorist, author, and illustrator. A great book for independent readers! This is a great book for independent readers and for those that like being read to…There is also a couple of morals that go with the story: stealing and pollution, and it teaches both in a good way without preaching….I loved reading this book and look to finding out more about Thumperino. A winner and a must read! Thumperino Superbunny is a winner and a must read. This is a chapter book and independent readers would love reading it alone. It is an educational book that teaches about pollution and stealing but is done in a way that the children do not know that they are learning positive lessons from negative situations. This is a great educational book for children of all ages. This book is a good read together, read to or a read alone chapter book. It would make a great gift to any child, a good addition of any school classroom and would look good on your bookshelf. I gave this book 5 stars but it deserves more. I highly recommend this book to everyone. 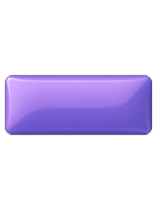 I look for more by Amber L. Spradlin. This book is a chapter book for the 9-12 age group. The wording is perfect for this age group. There are some beautifully done illustrations. An overall good read! This children’s book is for those who have just advanced past the picture books. This book encourages children to do their own research. It’s a clever story. I hope you enjoy it. 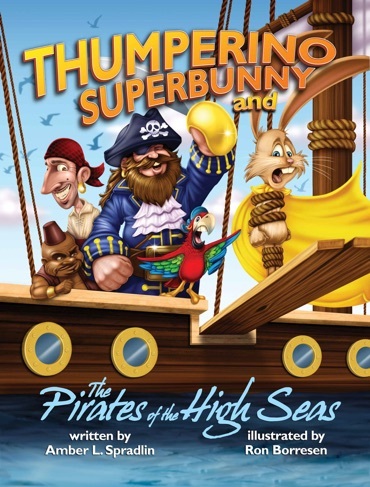 This book has a very imaginative premise, Thumperino is a delightful character that children will find enjoyable. The text flows well, the book is well written. 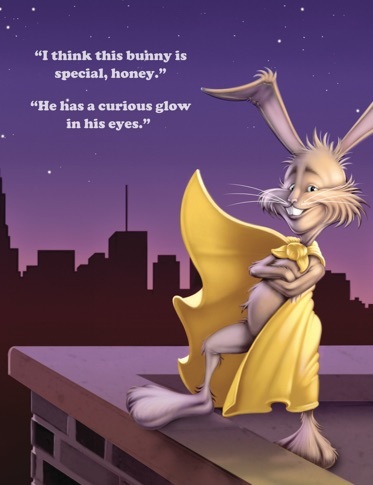 With hints of “Roger Rabbit” and comic book superheroes, Thumperino is a character that can educate while entertaining the young reader. Thumperino sets out on a mission to learn but also in his mind, save the world. We read the book from the perspective of the bunny living in a world of humans, so fantasy is also very present. The author does a great job of pulling the educational element into the book without it feeling forced, providing a great way for the kids to learn new materials and it not feeling like a lesson. This will be a great book for third and fourth graders! 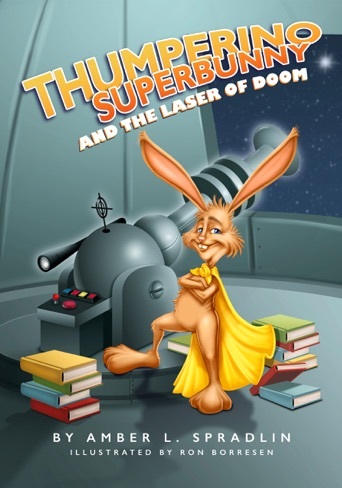 I am a strong reader of sci-fi and fantasy novels so a superbunny was easy for me to get my head around, and it helped that the story flowed so comfortably. Overall these books were definitely a very fun and light hearted read. I would definitely recommend that everyone take the opportunity to enjoy these delightful and fun stories about a superbunny and his antics as he tries to save the day. And as an audio book! Click the icon to view printable liner notes. Cow Goes to the Opera begins with our friend Cow merrily skipping through the French countryside while pulling a flower cart to the marketplace at the Opera Festival in Aix-en-Provence. Once Cow arrives, his curiosity gets the best of him leading him on a dreamy jaunt filled with tasty tarts and the bright lights of the stage. 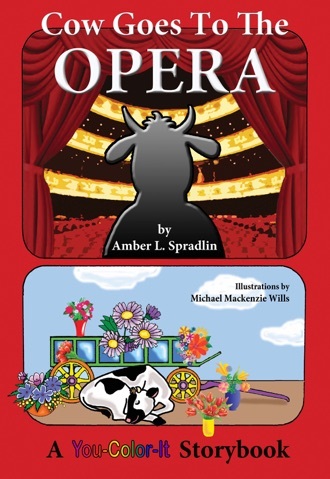 Cow Goes to the Opera is a You-Color-It Storybook. Color the pictures and let your creativity bring the story to life! In this tale, Thumperino visits the Metropolitan Museum of Art and by chance discovers an ancient Egyptian mystery that could be a link to the source of his super-powers. Just as he begins his research, a cache of art and a cursed mummy go missing. To continue his quest, he must first solve the crime and ensure that everything is returned to the Museum. Insightfulness, determination, and a level head may prove to be the best tools he has for wrapping up this case. 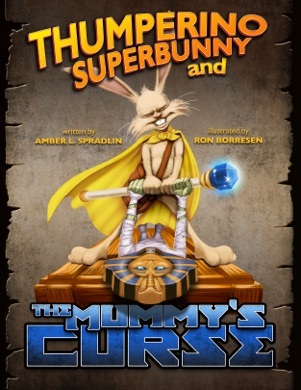 His super-hero skills are really put to the test when the Mummy’s Curse is awakened! 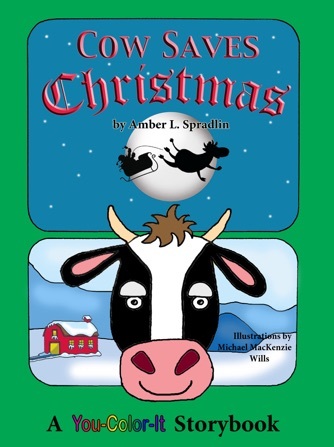 Cow Saves Christmas follows Cow on a magical evening as he tries to help Santa deliver a sleigh filled with presents. Cow Saves Christmas is a You-Color-It Storybook. Color the pictures and let your creativity bring the story to life! A Princess gets lost while taking a stroll in the hedge maze at the Palace of Versailles and somehow ends up in a corn maze, where she meets Cow. Together they go on an adventure to find her way home. 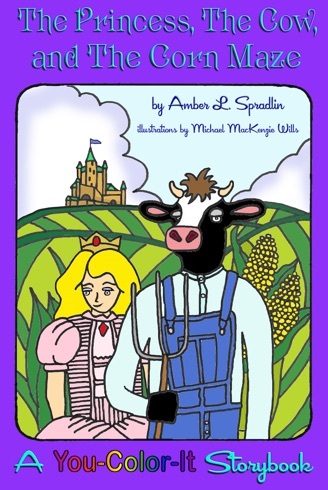 The Princess, The Cow, and The Corn Maze is a You-Color-It Storybook. Color the pictures and let your creativity bring the story to life! Cow was grazing under his favorite tree in the Farmer's pasture when a truck arrived to deliver a mysterious crate . 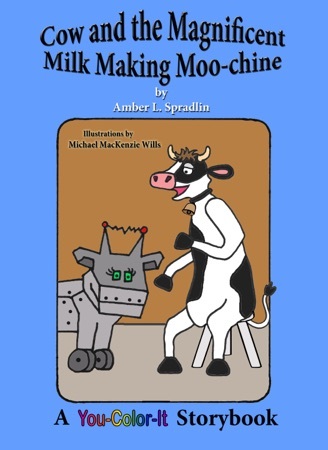 . .
Cow and the Magnificent Milk Making Moo-chine is a You-Color-It Storybook. Color the pictures and let your creativity bring the story to life! Cow is invited to board a circus wagon as it parades by the farm. Under the big top, he meets elephants, becomes a clown, and winds up getting shot out of a cannon—a fun adventure he won’t soon forget! 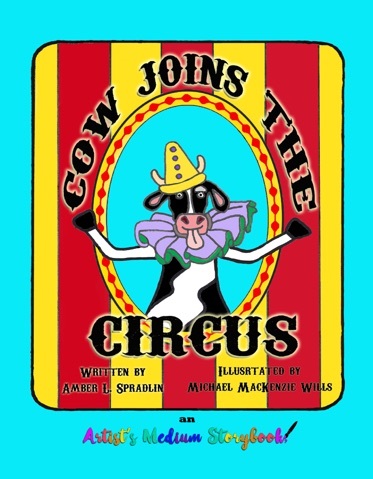 Cow Joins the Circus is an Artist’s Medium Storybook. Read the words, explore the pictures, and let your imagination soar! Books are being stolen from libraries all over the city. During an investigation into this crime, Thumperino meets a maniacal former librarian with a powerful laser and a painful past. In order to put an end to the villain’s plans, he enlists the help of his best friend Veronica, which may prove to be dangerous.